When it comes to Android smartphones, Samsung is definitely a household name. With its humongous stocks of Galaxy series, Samsung has a good hold on the market of both high and low end devices. Now Samsung has opened up a new line up of devices- called the On series. The company unveiled the Samsung Galaxy On5 and On7 via a webcast for India and China. These are the two multi-media focussed smartphones with good specs at great prices. 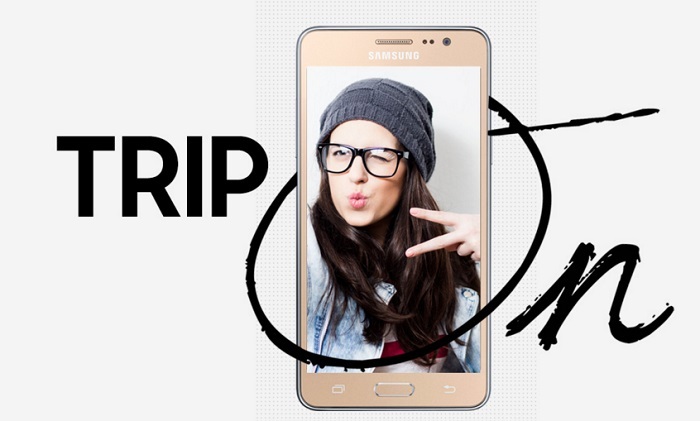 As the slogan says Trip on all the things you love, the two smartphones mainly focus on providing users the best possible combination of features, media and internet connectivity possible at the amazing price. In a nutshell, the On series compiles big displays, 4G LTE connectivity, Download booster, MixRadio subscription, fast processors. Photo and camera have been given special preferences since selfie and pictures are integral parts of our life and our smartphone. The On series will provide a 5 MP selfie camera with with 120 degree selfie mode, quick launch mode, palm gesture selfie mode and many more. 1. Quad core Exynos processor with 1.3 GHz speed. 2. 1.5 GB RAM with 8 GB on board storage and Micro SD card slot expandable upto 128 GB. 3. 8 MP primary camera with 5 MP selfie camera. 6. 5 inch HD TFT screen. 1. Quad core Snapdragon processor with 1.2 GHz speed. 3. 13 MP primary camera with 5 MP selfie camera. 6. 5.5 inch HD TFT screen.